The cost-effective, professional, and specialized gutter cleaning service in Sydney - Guaranteed! As part of the gutter maintenance in Sydney and gutter cleaning SYDNEY 2000, are you looking for local commercial and domestic gutter cleaning services in Sydney? Then not just in the SYDNEY 2000 area, but in the Sydney CBD and North Sydney area, Charles Property Services is just a call away. The local gutter cleaning services that we extend to our industrial, residential, and commercial clients in and around the North Sydney and SYDNEY CBD 2000 area covers, all-round gutter cleaning, guttering repairs and maintenance service and more. Our experienced gutter cleaner not just clean the gutter, but anytime you need a repair or a service undertaken, we are good for that. 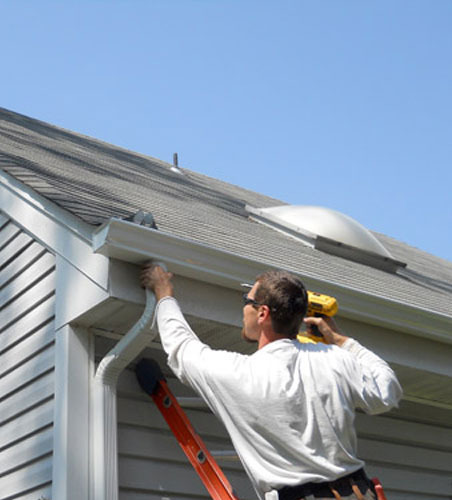 Many a time the importance of timely gutter repair, service, and maintenance is not really known, and that is why our cleaners at Charles Property Services stress upon it that much more. And most of all we do have cleaners who are specialized in industrial, residential or domestic gutter cleaning, and commercial gutter cleaning. It is good to periodically clean the roof gutters, guttering systems in any industrial, residential, and commercial building so that any dirt, residue, dried leaves can be removed effectively. As part of the domestic or commercial gutter cleaning service, drainpipes, and downpipes cleaning is also undertaken. A clean gutter or guttering system can be kept clean if regular repairs and maintenance too is undertaken. What are some of the benefits of professional gutter cleaning services? When a professional domestic or commercial gutter cleaner takes care of the guttering system, then there is nothing like it. When a professional gutter cleaner undertakes the gutter cleaning there is no structural damage to the gutters and downpipes. Also no structural damage also happens because it is done meticulously and carefully. Professional gutter cleaning is a lot cheaper and cost-effective than taking it care of it on your own. Professional gutter cleaning offers all round protection to both the building and gutters. For the gutter cleaning, Charles Property Services uses the latest equipment and gadgets to effectively and quickly clean the gutters, drainpipes and downpipes, and there is no compromise whatsoever and quality is assured. Anywhere in the North Sydney, Sydney areas, the local cleaner from Charles Property Services will clean gutters and undertaken gutter cleaning services. So, if you want to consult with us or want a free no obligations quote, call us on 0477 644 663 or write to us at admin@charlespropertyservices.com.au.